A new minute-or-so-long trailer for Prometheus has landed, and while it's unclear how much of this footage will be included in Saturday's planned 2:33 minute trailer debut (which will follow 20th Century Fox's WonderCon presentation), Ridley Scott's June 8 sci-fi pic just keeps the hits coming. 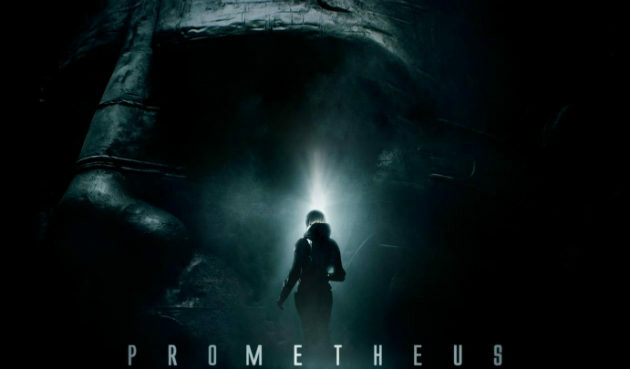 Sparse on dialogue, big on images, the trailer teases Prometheus's IMAX release and impresses on the startling strength of its visuals alone. It's as tantalizing as that first, even more mysterious trailer in that it offers snatches of scenes, character shots, and action without telling us much of anything in the way of plot. What is nice is that heroine Noomi Rapace is front and center this time, with less of a focus on Charlize Theron, and we also get a bit more of Logan Marshall-Green, a/k/a the American Tom Hardy. But it's still relatively spoiler free, and hopefully Fox's campaign will follow suit and leave enough of the film to be discovered in the theater. Check back tomorrow for more on Prometheus as Movieline reports from WonderCon, and follow us on Twitter for up-to-the-minute updates. I know it'll be PG-13 but some part of me is still holding out hope that it'll go an R.
Why should we care about the rating? Right now, even if this movie turns out to be PG or even G, it's gonna be awesome. I know trailers are meant to hype people about films and this will probably end up rather overhyped but still, you can't make a trailer this damn awesome without a movie that's at least partially awesome. Because R means more entertaining for adult audiences than the tame PG-13 rating. Duh. I know that. Maybe I didn't pose the question correctly: Why should we care about Prometheus' rating after such an awesome trailer? Dark Knight and Social Network were both PG-13 and they were way more entertaining for adult audiences than any R rated film made in years. Heck, even an animation like Rataouille with G / PG rating can be more fulfilling and mature than a thousand R rated art house films. An R rating can open up the possibilities about where a film can go. If you know you have to edit your film to get a PG-13 rating, your limited. Holy shet. That gave me goosebumps. If this thing is as good as the trailers are indicating... wow, I just cannot wait to see this. Also, who did that music? Does anyone recognize it or is it original for the film?